The Orlando Magic look for a much-needed win on Tuesday when they host the red-hot Oklahoma City Thunder at the Amway Center at 7 p.m. The Magic have lost six of seven, with five of the losses coming by five points or fewer, and they enter Tuesday four games behind the Charlotte Hornets for the No. 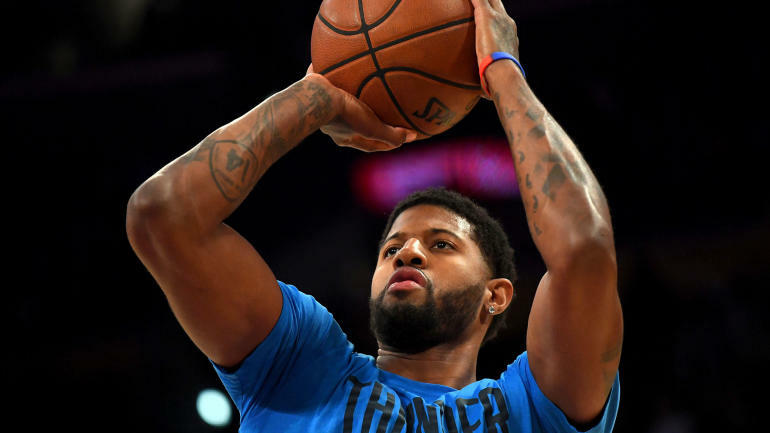 The Thunder, led by the dynamic duo of Paul George and Russell Westbrook, have won five straight and are coming off one of their best performances of the season in a win over the Bucks . Oklahoma City is a four-point favorite and the over-under for total points scored is 222 in the latest Thunder vs. Magic odds. Paul George and Russell Westbrook continue to emerge as one of the NBA's most dynamic duos, and both came up big Sunday against the Bucks. The Thunder are on a 4-1 run against the spread, but there's no guarantee they will cover on Tuesday against a Magic club that has played well at home and competes particularly well against top-tier opposition.